What is it (how does it look like)? That is a typical questions we hear very often when it comes to alternative cancer treatments and in particular when it comes to the Oil Protein Diet. In this article I want to answer this question. Let me first start by talking about Dr. Johanna Budwig. 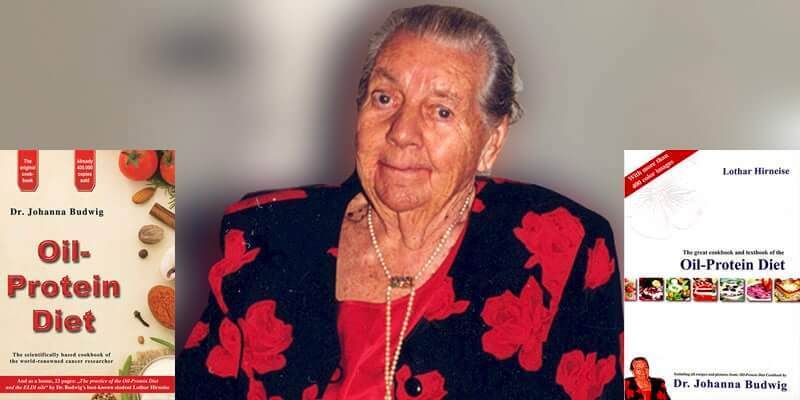 She died in May 2003 at the age of 94 years. For me she was perhaps one of the best cancer researches in the world. Due to her extremely extensive knowledge in fields such as pharmacology, chemistry, physics, biology, and, of course, medicine. She was in my eyes THE scientist that probably solved the key questions of what cancer is and how it can be solved. Lothar Hirneise and myself met her for the first time in spring of 1998. It was the beginning of an intensive relationship that lasted for 5 years. 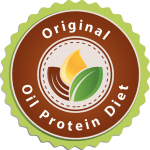 In those years we were able to learn all about the original and strict Oil-Protein-Diet for people with cancer and also about the Budwig Protocol. Dr. Budwig lived for her science and for her patients. And she was also very strict and very demanding. But over time she also came to trust Lothar and myself more and more and after years of many talks and meetings started to trust us enough to share her Budwig Protocol with us. The original Budwig Diet and Budwig protocol is today the basis and foundation of our 3E-Program in our 3E-Center. Our vision is to share the original systems that Dr. Budwig developed over a period of more than 50 years of working with people with cancer (she started to work on the cancer in 1951) to everyone in the world who is interested in her original work. For this reason in our 3E-Center we only offer the original Budwig Protocol as we were allowed to learn directly from Dr. Budwig herself and on purpose are avoiding any changes to her protocol. The reason we stick with the original is that no one has ever put so many years of research in her work as she has. And mostly the people who do not fully understand her work are the ones that start making adjustments to the Budwig Protocol. So what exactly is the Budwig Protocol – for people with cancer? It is a self-contained and complete system with specific daily activities that are based on the Oil-Protein-Diet and are combined with a number of other daily activities. A system where you should and in our view cannot just here and there change something. 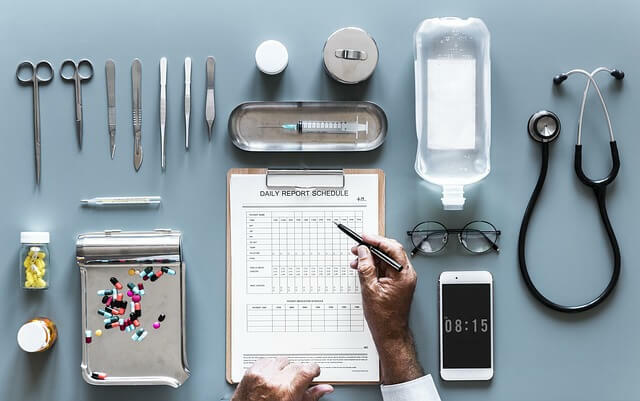 Since people with other illnesses such as heart disease and diabetic could also very much benefit from the Budwig Protocol it is important to understand that I focus in this article and also in our 3E-Center on the Budwig Protocol for people with cancer. For more information on all of the above elements of the Budwig Protocol and how to implement them into your life I recommend you go online to purchase the following e-book from Lothar Hirneise. 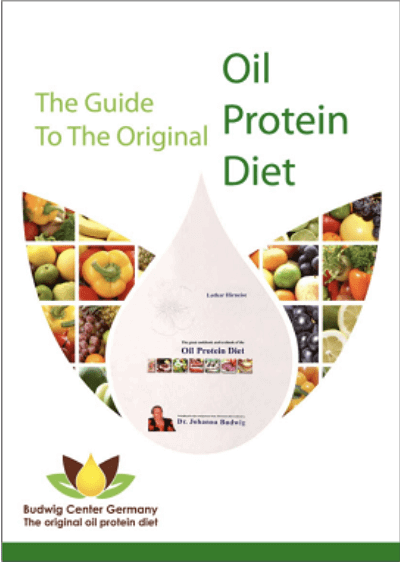 After more than 20 years in the field of alternative cancer therapies I have come to understand that the oil protein diet and the budwig protocol is one of the major cancer therapies. My role is not to convince people that this is true and not to be a missionary but to offer a place to all those people who have discovered the strength of the oil protein diet and who are now looking for a place in the world that teaches the original and strict oil protein diet and budwig protocol. And this place we have created in the south of Germany (close to Stuttgart) with our 3E-Center.